PokerStars includes New Jersey in their efforts to bring more qualifiers to the PCA. New Jersey residents looking to escape the dead-of-winter winds may have just gotten their wish. For the first time since their re-entry into the United States online poker market, PokerStars is offering New Jersey online poker players a way to win a premiere package to fly to the Bahamas and take a seat in their flagship live event, the 2018 PokerStars Caribbean Adventure (PCA). As a part of PokerStars’ greater effort to qualify “at least 400 players” to the revitalized $10,300 PCA Main Event in January, they are running a $1,000 1-package guaranteed satellite for all their players in the Garden State on November 5. With plenty of ways to qualify, every poker player in New Jersey has a path to taking their shot at winning the grand prize $15,855 PCA package to one of the premiere poker getaways of the year. For players that don’t want to mess around, they can, of course, buy directly into the $1,000 PCA Qualifier through their PokerStars account and be assured a shot at the PCA Main Event seat and everything that comes with it. For those players looking to maximize their bankrolls and play their way into the $1K, PokerStars is running a series of $100 satellites to the PCA Qualifier. Additionally, and perhaps most alluring of all, from October 27-November 4 PokerStars is offering the PCA Freerolls, a daily super-satellite opportunity for players to win their $100 ticket. To grab a pair of PCA freeroll tickets, use the bonus code ‘PCA’ when reloading $10 or more between 10:00 ET on October 27 and 1:59 ET November 5. If you want to play the PCA Freeroll every day, just break up those reloads as you can claim additional tickets with every reload during that time. Earlier this year, officials at PokerStars announced a series of changes to the event at the request of the players. The changes made include streamlining the number of events, bringing back the PCA name (as opposed to the PokerStars Championship Bahamas) and a lower rake structure that will save players an estimated $300,000. An additional upgrade is all the benefits included in the $15,855 package. Naturally, players receive the $10,300 buy-in for the PCA Main Event. The PCA Qualifier Grand Prize also affords you nine nights stay for two at the home of the PCA, the Atlantis Resort, as well as $1,000 applied to that room to cover food and drink costs. Additionally, the winning player will have $1,000 deposited to their PokerStars account to assist with all travel expenses. Travel arrangements are the responsibility of the player in this case but a cursory look at flights from New Jersey to the Bahamas from January 6-14, the dates of the festival, find that one can fly round-trip for around $400. The travel budget is plenty to ensure enough coverage for a pair of attendees. Or perhaps just one baller who prefers travel in style. So take aim New Jersey, the PCA Qualifier tournament takes place on November 5 at 19:00 ET with $100 satellites and freeroll tournaments taking place daily. 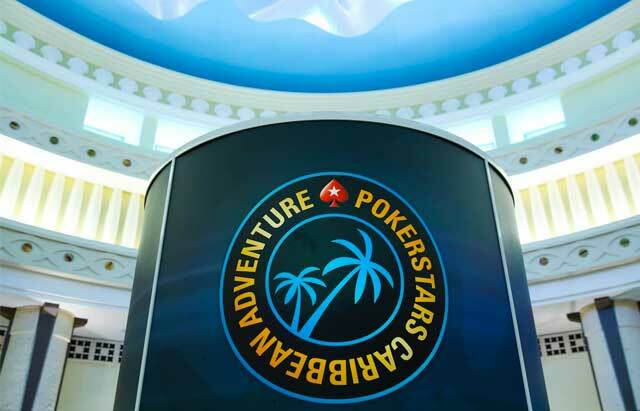 The 2018 PokerStars Caribbean Adventure at the Atlantis Resort in the Bahamas runs from January 6-14.